Packaging is a topic that is becoming increasingly hot. Not only is there more pressure from consumers on retailers and shippers to introduce more eco and sustainable options but there is also wide acknowledgement that packaging issues aren’t as transparent as they could be. For example, a recent survey in Germany found that while more than 90% of Germans are interested in the topic of packaging, almost two thirds felt that they didn’t have enough information to make well informed judgements. From function and eco-balance to recyclability, what more can manufacturers and retailers do to improve packaging transparency in Europe? 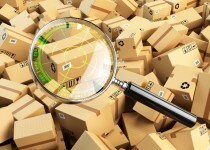 While there are plenty of requirements for product manufacturers to include information about what’s inside the carton or box, often the packaging itself remains something of a mystery. Many consumers are now concerned, not just about the contents of their food or the products that they buy, but also what has gone into producing the packaging itself. There are calls for product manufacturers to include data on the make up of packaging in the same way as the component parts of, or ingredients in, products. More transparency is required about the purpose of the packaging – i.e. why it’s necessary – as well as its eco credentials and how it can be recycled by the consumer. In Germany and Austria alone, the packaging industry generates €50 billion and contracts more than half a million employees. So, this is a powerful industry and yet there is not a great deal of accountability for packaging manufacturers, particularly when compared to manufacturers of other products, such as food. Given the growing importance of the industry, there is great concern over the lack of hard facts and data that manufacturers of packaging supply about the way their goods are produced and what is used to make them. There have been calls for packaging manufacturers to be more transparent about the products and processes, and to provide more information, not just to customers but to the public at large. In such a sizeable, growing market, transparency across the board is going to be key. Again, a lack of information provided by retailers about the packaging that comes with the products that they sell is causing transparency concerns. Retailers have a direct connection to the consumer in a way that most manufacturers don’t – this could be used to better inform the general public about packaging so that wiser choices can be made. Retailers could also be much more proactive when it comes to packaging disposal. From providing options for waste packaging pick up and collection, through to detailed instructions on how to dispose of packaging that are specific to the country of delivery, there is a lot that retailers could implement to help manage the impact that packaging has. Transparency and change in the packaging industry could make it less wasteful and frustrating for consumers and more innovative. At UCS we are always looking into the key issues for industry. If you’d like to find out more about our services please get in touch with UCS today on +44(0) 8448 793229.
next post: How are major retailers letting customers down on one-day delivery promises?